USDA’s new Choose My Plate icon replaces MyPyramid and gives guidance on how to eat healthy. Would You Like to Save Hundreds of Dollars? 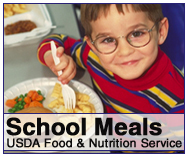 Learn how the school lunch program can help you stretch your family’s food budget. View quarterly newsletters on a variety of topics designed to help families eat better for less. Grant County Hunger Council–Our mission is to alleviate hunger, food insecurity, and the effects of poverty in Grant County through education, coordination, advocacy and service.